Teraplast factory, Romania Author (Teraplast.ro) License: all rights reserved. BUCHAREST (Romania), January 6 (SeeNews) - Romanian plastic products maker Teraplast [BSE:TRP] said it has decided to expand in Serbia as part of plans to boost exports and intends to invest 72 million lei ($16.7 million/15.9 million euro) in 2017. Teraplast's board of directors decided to set up a limited liability company in Serbia with a total share capital of 10,000 euro ($10,494), Teraplast said in a filing to the Bucharest Stock Exchange, BVB, on Thursday. The 2017 investment plan will be submitted to the extraordinary general meeting of Teraplast shareholders on February 9, according to a separate filing. In October, Teraplast said it expected a rise of 12% in non-consolidated net profit, to 39.6 ($11.1 million euro), in 2016 and a turnover of 405.5 million lei, up 3% year-on-year. In 2015, Teraplast posted a net profit of 28.3 million lei, up 121% compared with 2014, and a consolidated turnover of 267.9 million lei, up 20%. Teraplast was founded in 1896 in Bistrita, in northern Romania, as a ceramic tiles manufacturing unit. In 1999,Teraplast acquired a 50% stake in plastic pipes manufacturer Politub. 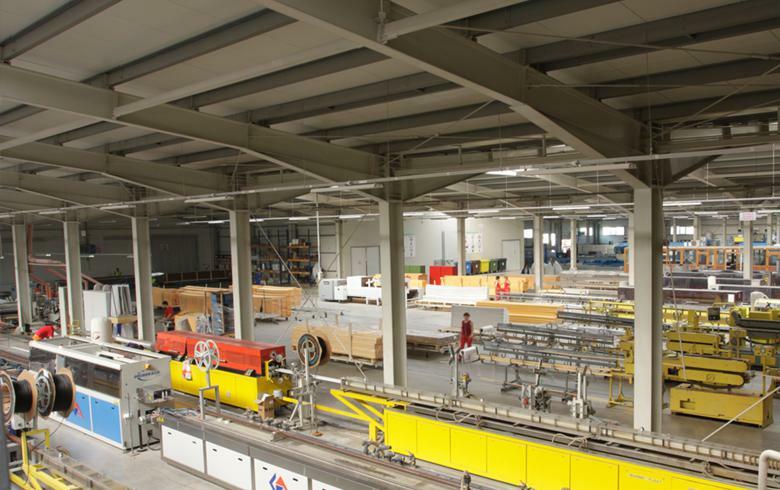 In 2007, Teraplast became majority shareholder with a stake of 70.42% in insulation panel producer Plastsistem, which was later reorganized to manufacture sandwich panels with polyurethane foam core. Along Teraplast SA, both companies are now part of the Teraplast group, whose facilities are located in the Teraplast Industrial Park, outside Bistrita, and cover an area of over 200,000 sq m. The group is controlled by Romanian business man Dorel Goia, who has a 46.7% stake, while the remainder is owned by investors. In 2008, Teraplast was listed on the Bucharest Stock Exchange. Teraplast shares were trading 6.59% higher at 0.55 lei on the BVB by 1013 CET on Friday.